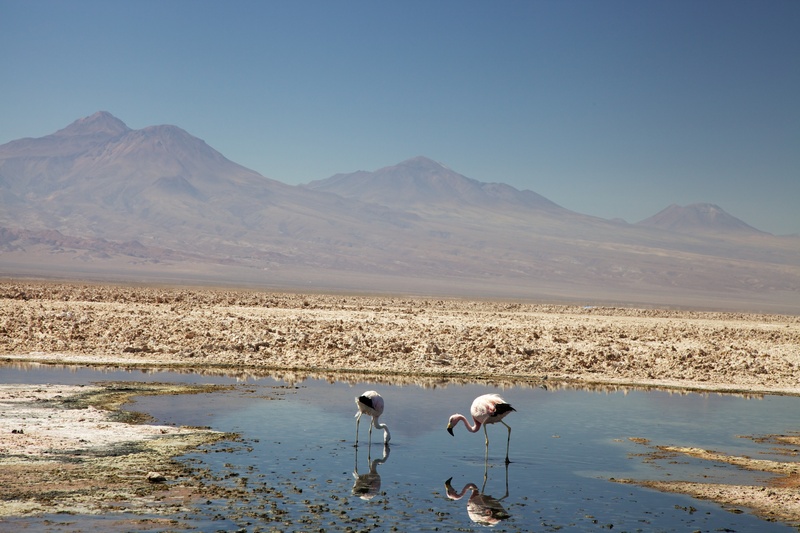 One part of the Salt Flats contains a briny lagoon, the Laguna Chaxa, which is an important breeding site for Flamingoes. Unfortunately this vitally important breeding site for three species of flamingos is under threat from new technology. 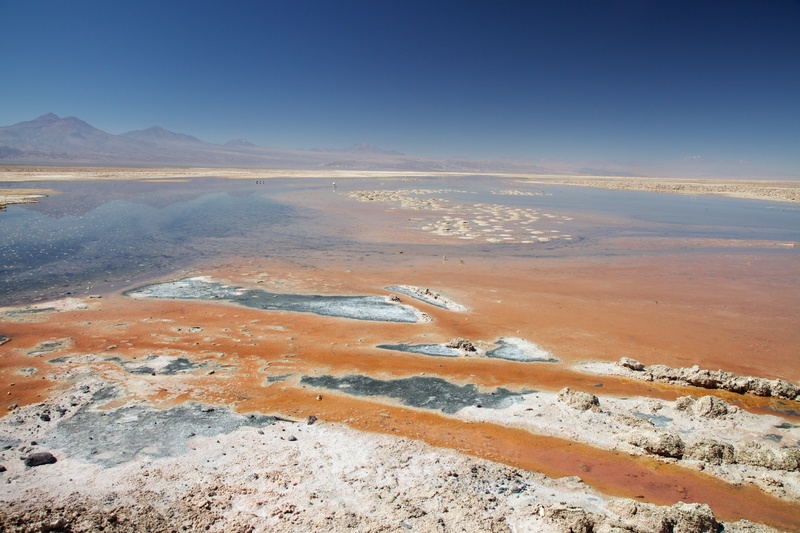 Chile is one of the world’s two main sources of Lithium (the core to most of the batteries in today’s electronic devices), and the Salar de Atacama is a key area for Lithium extraction. The extraction process uses huge amounts of water drawn from aquifers under the flats and as this water is being drawn off the Laguna is shrinking and becoming more polluted. Flamingo numbers have already reduced significantly and worse id predicted in the future. 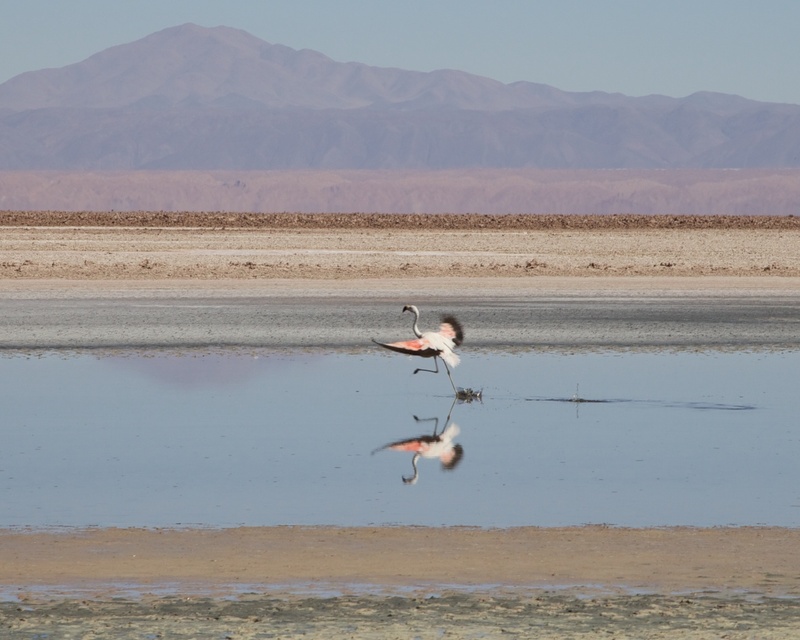 Posted in Chile, Photography and tagged Chile, flamingos, Laguna Chaxa, Lithium, photography. Bookmark the permalink.